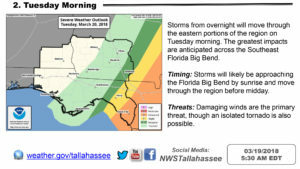 WEATHER: Severe Weather Still to Come? 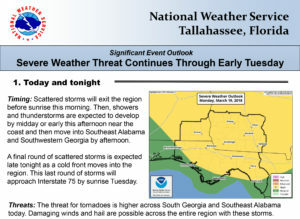 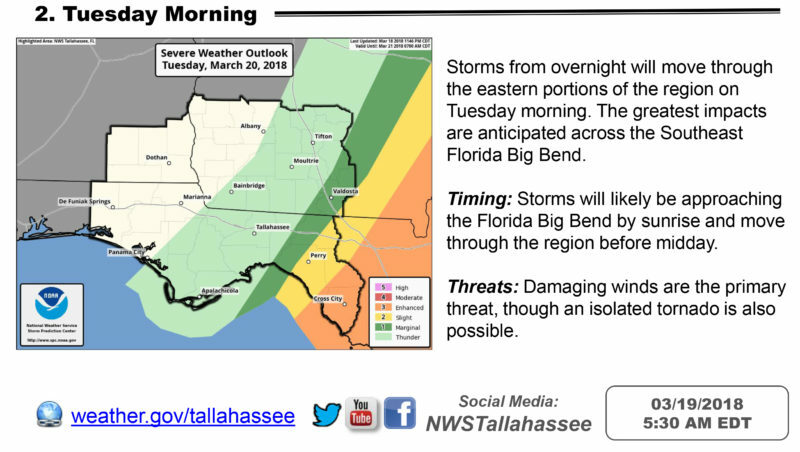 According to the National Weather Service in Tallahassee, southwest Georgia could see severe weather this afternoon and into tonight. 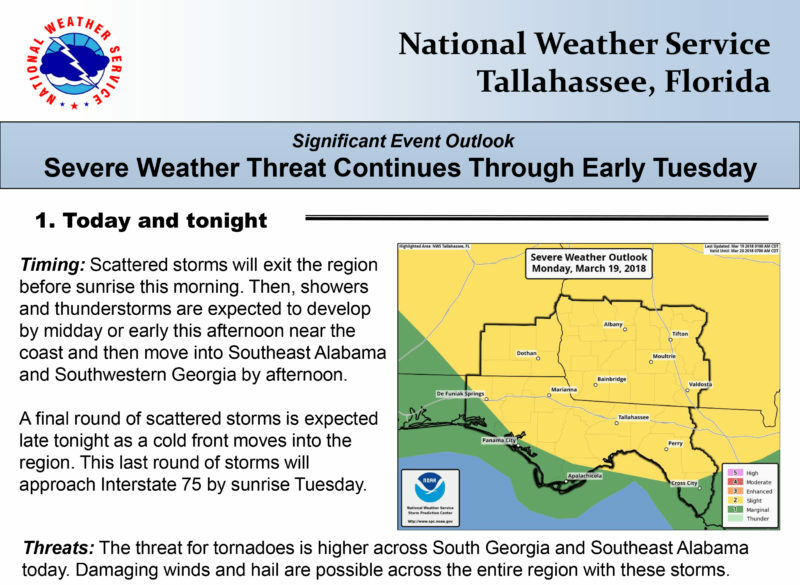 As a cold front approaches our region, storms are expected to form by midday and move into southwest Georgia Monday afternoon and early Monday evening.